FANNED-FRET INNOVATIONS is dedicated to optimal performance. 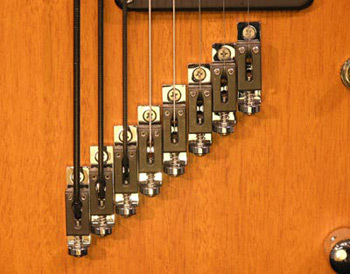 Fanned-Fret Innovations hardware and components are player-tested and time-proven. We serve the multi-scale Fanned-Fret builder and player. 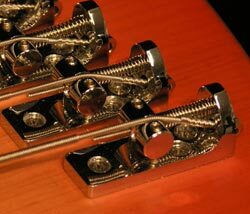 With the proliferation of builders new to using the Fanned-Fret concept, there is an "information lag". Abundant misinformation regarding the best applications for the concept and the range of scale lengths that will provide optimal performance have led to confusion. One of our goals is to provide accurate information for the multi-scale builder and player. Another goal is to support multi-scale Fanned-Fret builders and players with solid, reliable components. We have been building and designing multi-scale Fanned-Fret instruments and components for over 25 years.